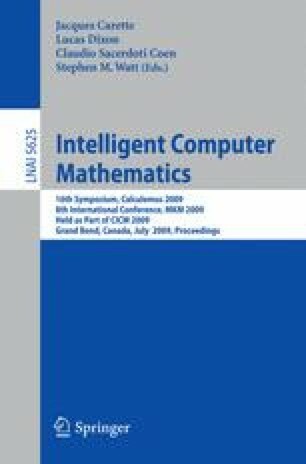 Taking the specific problem domain of indefinite integration, we describe the on-going development of a repository of mathematical knowledge based on transformation rules. It is important that the repository be not confused with a look-up table. The database of transformation rules is at present encoded in Mathematica, but this is only one convenient form of the repository, and it could be readily translated into other formats. The principles upon which the set of rules is compiled is described. One important principle is minimality. The benefits of the approach are illustrated with examples, and with the results of comparisons with other approaches.